Here’s something you need to know – memes are for everyone. They are entertaining and funny, so what’s not to like about memes? In fact, you can probably find yourself funny memes for kids, for adults and for elderlies just as easily. Even though this page of memes was compiled with the kids’ audience in mind first and foremost, you will also find funny memes about kids. I mean, hey, kids can be really entertaining! Funny memes about themselves could also be just as funny for them – there’s nothing to lose! If you are looking to cheer up a kid or two, you can take a look at the collection of memes for kids that we have below. You might just be just helping a young kid take their first step to memes’ appreciation! It’s time to replace the kids’ games and YouTube videos with funny memes for kids. Find some memes that you think the kids will enjoy from our compilation below, save it into your phone, and share them now! We have already saved you the hassle of looking for the funniest kid’s memes – all you need to do now is to browse through them and share them with your loved ones when you are done browsing! 1. Silence Is Golden… Unless You Have A Toddler. In That Case, Silence Is Very Very Suspicious. 3. 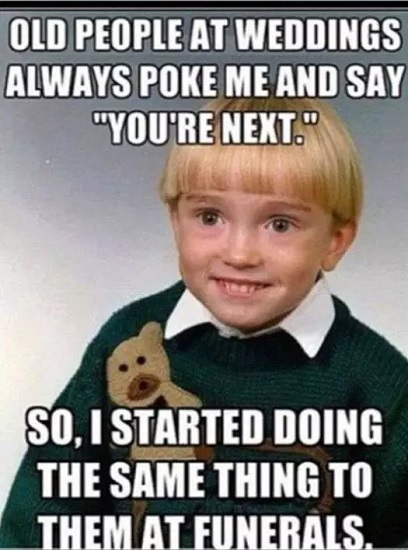 Old People at Weddings Always Poke Me And Say “You Are Next.” So, I Started Doing The Same Thing to Them at Funerals. 5. How I Feel When I Fix Something. 6. That Look You Give Your Friend When Your Teacher Says to Pick A Partner. 7. Definitely in My Top Ten Movies of All Time Has Only Seen Ten Movies! 9. You Have Fallen Directly into My Trap. 11. The Best Way to Give Medicine to a Child. 12. Brushes Teeth Twice Daily, Floss Daily 7th Root Canal Tuesday! 13. Everyone’s Having Their Second Or Third Kid And I’m Over Here Like Nah I’m Good! 14. What Do You Mean I Wasn’t Picked to Go to Hogwarts! 15. Feeling A Little Sick Eh? Shouldn’t Have Touched My Playdough. 16. Smile!!! It’s Finally Friday. 17. H.O.M.E.W.O.R.K.= Half Of My Energy Wasted On Random Knowledge. 18. Dear Math, Please Grow Up And Solve Your Own Problems, I’m Tired of Solving Them for You. 19. Oh Gimme The Beat, Boys And Free My Soul. I Wanna Get Lost in Your Rock And Roll. 21. 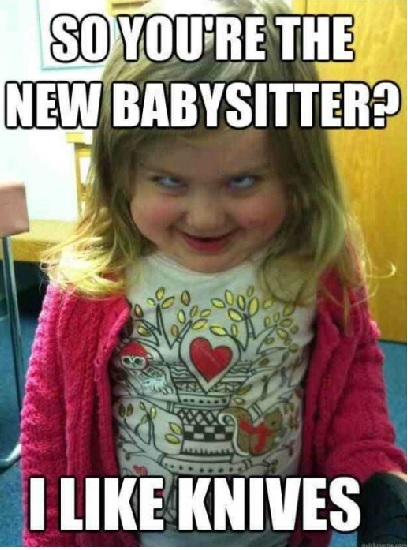 So You’re The New Babysitter? I Like Knives! 22. Mom Told Me Not to Touch It. 23. I Want Answers Tickle Him Until He Talks! 25. Yo’ Mama Is So Fat When She Walked By The TV I Missed 3 Episodes! 26. 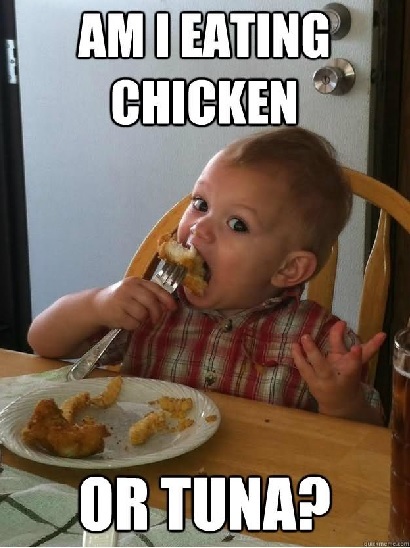 Am I Eating Chicken Or Tuna? 27. When People Assume The Chips Are to Share! 28. Who Put You on The Planet? 29. That Moment When He Realizes He Has No Idea What He’s Mad About. 30. Touch My Cake And I Will Cut You. 31. Tomorrow Is Monday Again. 32. No, Seriously Tell Me More You’re So Interesting. 33. They Took My Happy Meal I Took Their Happiness. 35. How to Be A Toddler: Step 1: Destroy Something! Step 2: Immediately Fall Asleep! 36. Too Tired to Eat Too Hungry to Sleep. 37. Why Did The Kid Put Sugar Under His Pillow? So He Would Have Sweet Dreams! 38. When You Fart And Realize It’s Something Else! 39. Can I Get A Bottle? Or Should We Go Straight to Nap Time? 40. 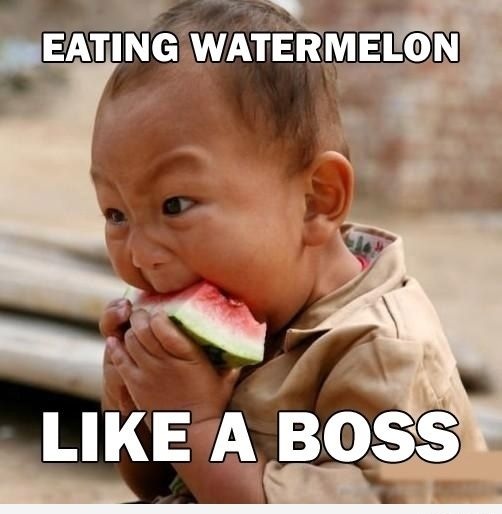 Eating Watermelon Like A Boss. 41. I Want My Fooooooooood! 42. Nobody TellS Me No! You Got That?! 43. When I Was Born I Was So Mad at My Parent’s…… I Didn’t Talk to Them for Two Years! 44. Your Pancake? I Ate It. 45. Yep It’s Monday Here Too. 46. At Dawn We Ride! 47. I Don’t Know Whether to Take A Nap…… Or Cry About Being Tired. 48. My Mommy Said I’m Growing Up So Fast I Said Talking Isn’t Getting Me Another Beer. 49. Reads High School Freshman Meme Thinks He Understands, But Can’t Read. 50. I Licked It, So It’s Mine. Have you shared these kids’ funny memes with your friends and family yet? Remember, when it comes to funny and entertaining memes, it’s the more the merrier! Keep our page bookmarked so that you will always be caught up on the best memes!